Artists have embraced dance anywhere® on their own terms, creating unexpected performances and drawings based on movement, challenging conventional ideas of dance. They have found within in their own art practices that art + movement = dance anywhere®. 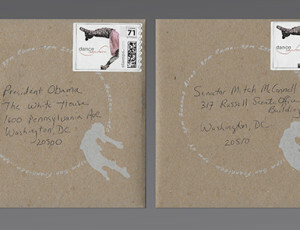 Print makers Josefina Jacquin, Maryly Snow, and Ewa Gavrielov turned the movement of printing into a dance. In 2015, Sonja Hinrichsen danced by painting with inks in repetitive patterns until she filled the entire sheet of paper. 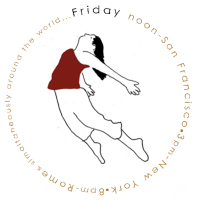 This year Sonja takes this idea to another level and invites the public to dance with her at the Kala Art Institute (1060 Heinz Ave,Berkeley, CA, 3rd floor). 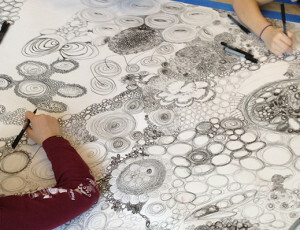 …join me in a collaborative drawing project based on abstract forms + shapes. We will use archival ink pens on a large piece of paper. This project is suited for adults + children age 7 + older. The project starts at noon, continuing until we fill up the entire canvas. I set an alarm for noon to begin to dance/draw anywhere. The tempo was kept with a metronome. I worked for 1 hour. 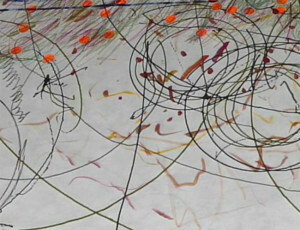 The resulting mixed media drawing on mulberry measures 40″ x 8′. Osvaldo Cibils and Fiorella Alberti have often pushed the definition of dance with performances studying the movements and interactions between two people and inanimate objects. Past performances include ’2 humans 1 paper’, ’2 humans 12 jars’, and most recently ’2 humans 2 planks’ which was performed for dance anywhere® 2015 at 8pm in Rome. 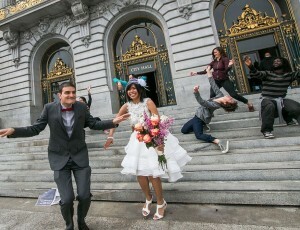 How will you dance anywhere® this year?